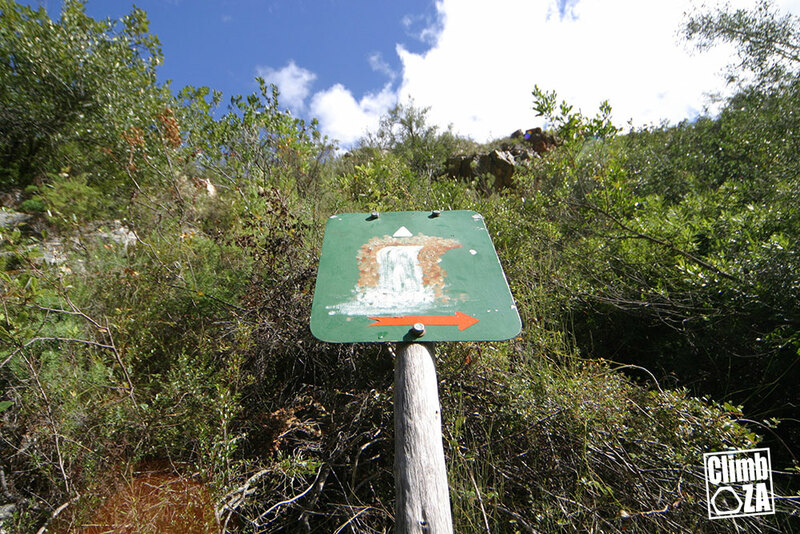 Listed below are all of the Montagu Hiking Trails – Some of the trails require a permit. Permits are available from the small office at Joubert Park. Or yearly permits are also available from the Municipal office in Piet Retief Street, Montagu. 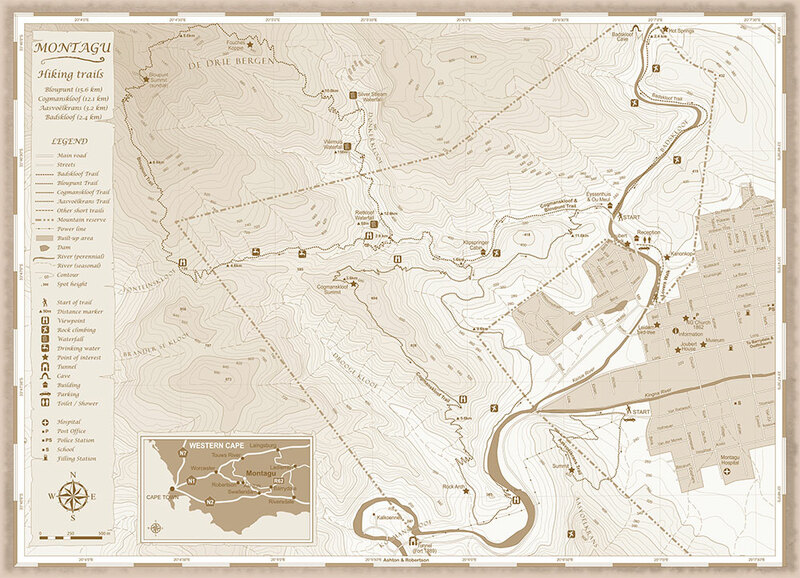 Click here to download the Montagu Hiking Trails Map in high-res PDF format. 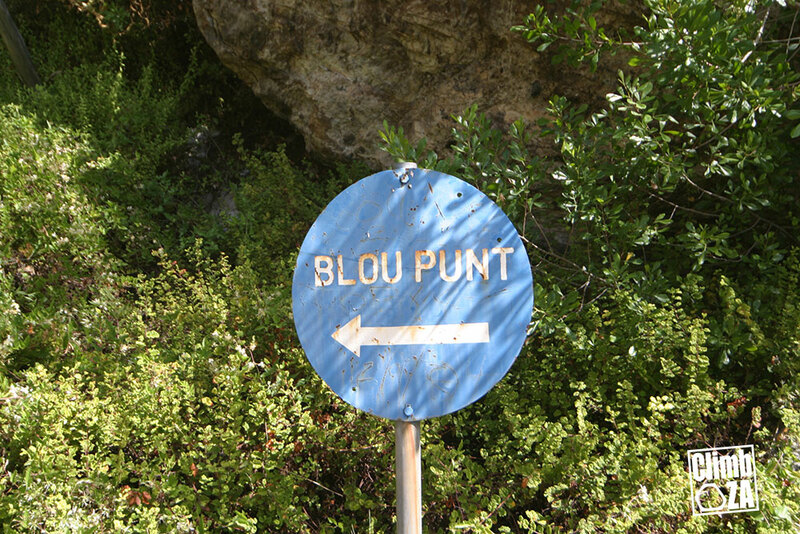 Bloupunt Hiking Trail is 15.6 km long, with an elevation rise of more than 100m from the start at Joubertpark to the summit and can be completed in 5 – 9 hours. This trail offers a wide variety of interesting features to hikers with a constantly changing panorama of ravines with mountain streams and craggy cliffs with awe inspiring rock formations. 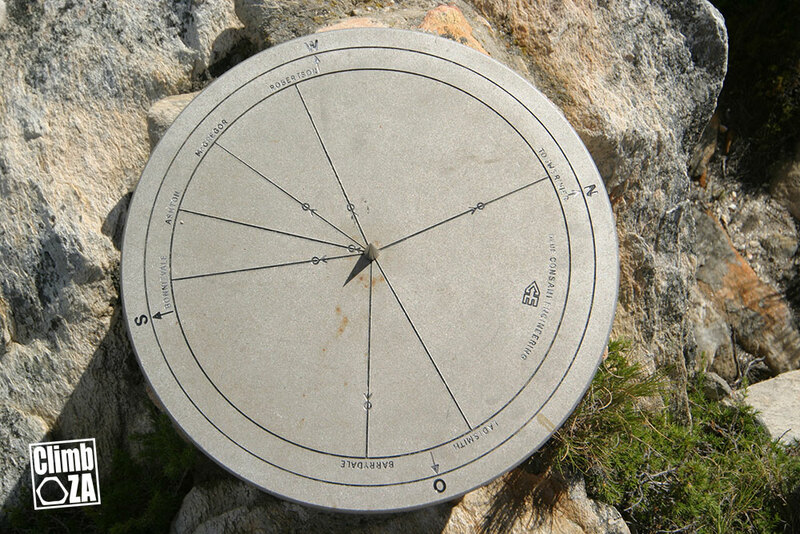 From the 1266 m hih summit of Bloupunt one is confronted by a breathtaking view in all directions and can clearly see the towns of Ashton, Bonnievale, McGregor, Montagu and Robertson. About halfway up there are two fresh water points where you can pause for refreshments. It is advisable to fill water bottles at this point as there is no water on the top. There are also three small waterfalls on the route down from the summit, which can be reached by means of short deviations from the main trail. These are well worth visiting and great for a cooling swim. There are a few waterfalls along the route. 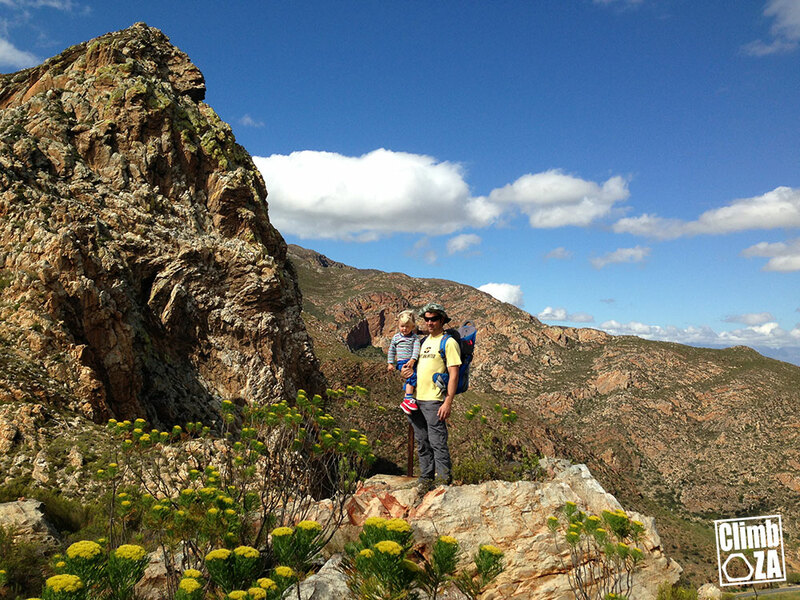 The Cogmanskloof Hiking trail is 12.1 km long and can be completed in 4-6 hours. On the the first 2 km from the overnight cabin is steep – from then on the route is easy. 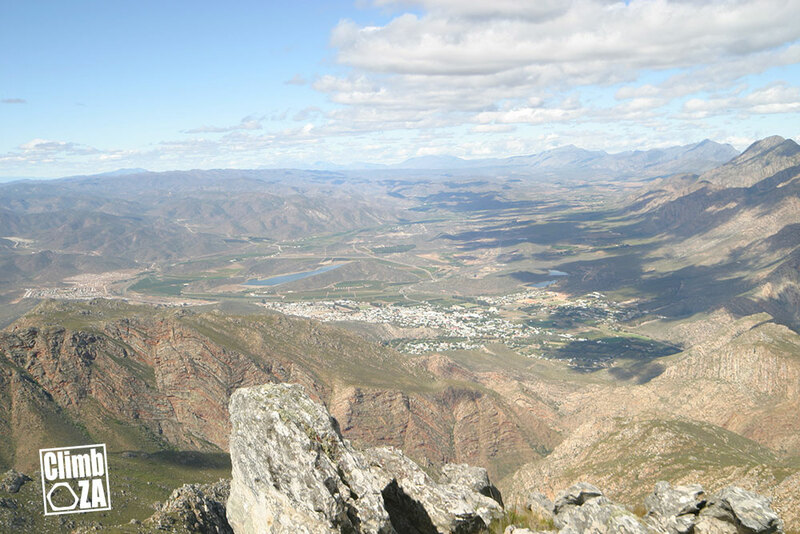 Cogmans “summit” at 690m is half the height of Bloupunt but nevertheless offers a beautiful view of Montagu, the ravines and mountains. There are beautiful rock formations and wild flowers on top. Aloes, proteas, “sewejaartjies” and ericas are plentiful. Permit required. 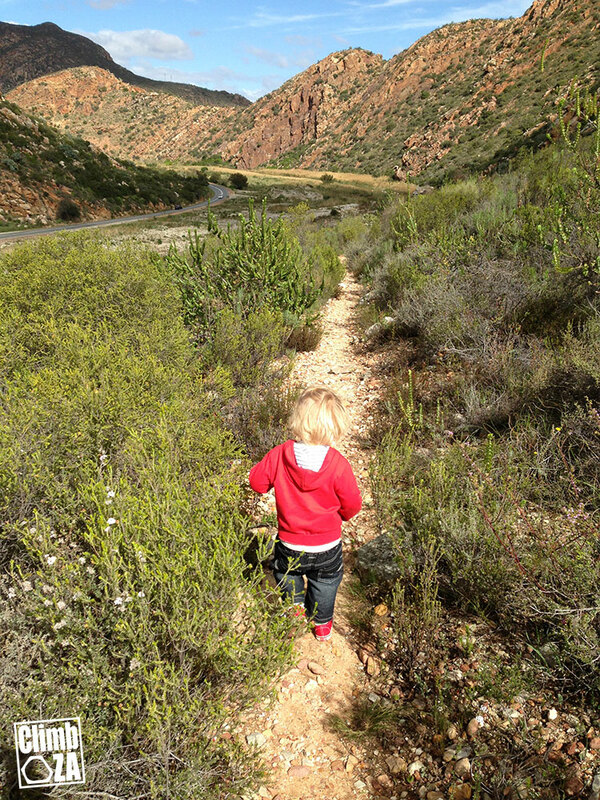 The Badskloof Trail is 2.4 km long and connects the hot springs with Eyssenhuis / Ou Meul at Joubertpark. 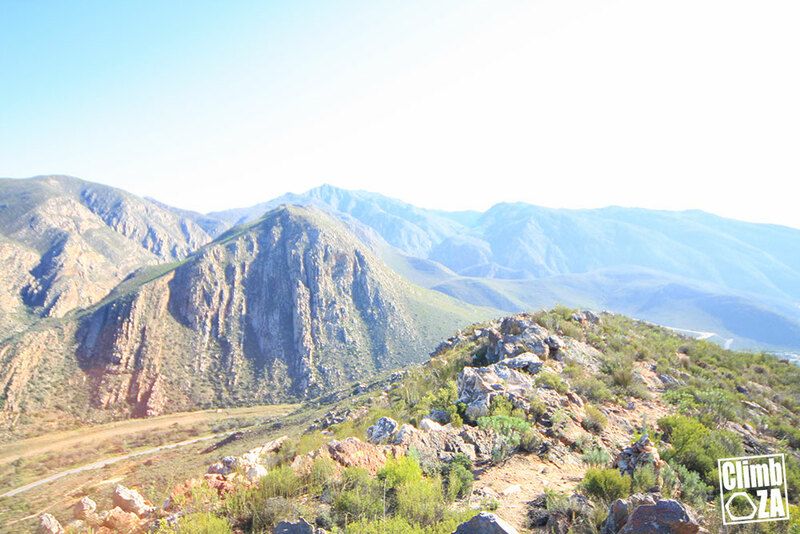 This trail offers a flat 1 hour walk through Badskloof with its many rock formations, rich bird life and many sport climbing routes. The trail can be a bit “adventurous” in some sections as the occasional floods cause the water-crossing bridges to get washed away. You might find your self having to either do a bit of balancy rock hopping or maybe take your shoes off. You can start this trail from either the Hot Springs of the Eyssenhuis side. The permit is only payable at Joubertpark (onthe Eyssenhuis side). No entry fee or permit is required. 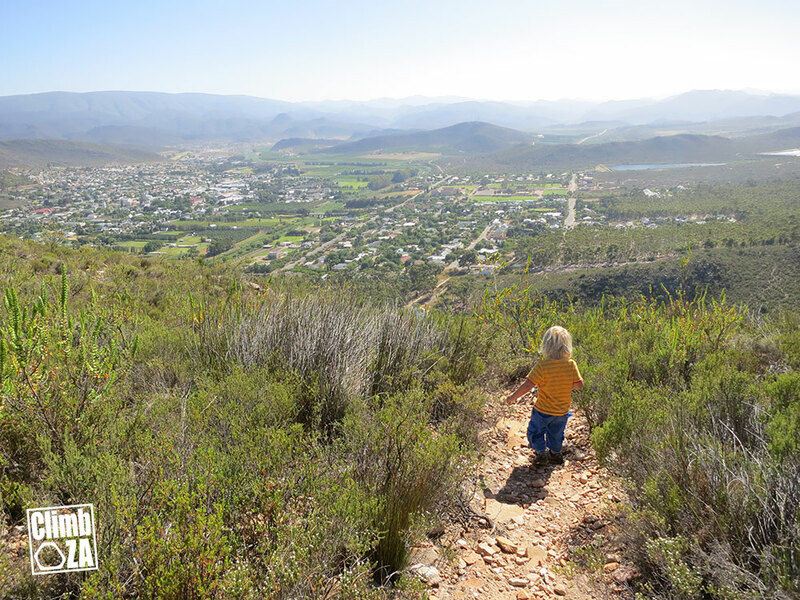 Lovers walk, also sometimes referred to as Mayors walk, is a short 500 m walk along the bank of the Keisie River and below Kanonkop, through Joubertpark (starting at the upper end of Barry Street) an ideal extension of the Badkloof trail. The Aavoëlkrans Hiking Trail is 3.2 km long and will take 45mins – 1.1/2 hours to complete. The trail starts on Riebeeck Street opposite the Aasvoëlkrans B&B. Its a nice short hike to a 430 m viewpoint overlooking Cogmanskloof with Fort Sydney and the tunnel in the distance. The reserve is open to the public from 08h00 to 16h30. No camping is allowed in the reserve. Overnight accommodation is available at the Klipspringer Cabin 1.5 km from the parking area. This is a stone cabin with dormitory-type sleeping quarters for 12 hikers in total – 6 in each room. Wood-fired stoves, braai facilities, hot water, ablution and toilet facilities are available. Camping is not permitted anywhere else. In case of emergency contact the police on 10111.